Want to know how good your voice really is? 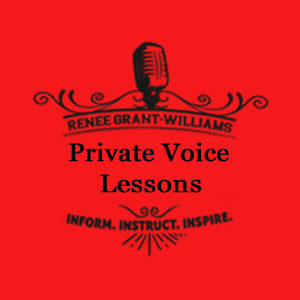 Renee will give you a professional voice evaluation. When you purchase the $75 evaluation, not only are you getting a fantastic voice evaluation from a legend in the music industry, but we will apply the $75 fee to your first voice lesson (bringing the cost down to $160). In-studio or via Skype. Upon ordering, you will receive an email with instructions on how to complete your vocal evaluation. Want to know how good your voice really is? 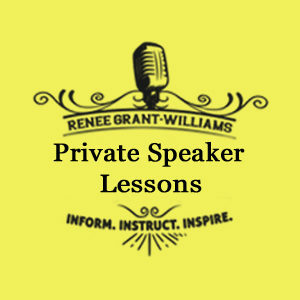 Renee Grant-Williams will give you a professional voice evaluation. When you purchase the $75 evaluation, not only are you getting a fantastic voice evaluation from a legend in the music industry, but we will apply the $75 fee to your first voice lesson, bringing the cost down to $160. In-studio or via Skype. Upon ordering, you will receive an email with instructions on how to complete your vocal evaluation. 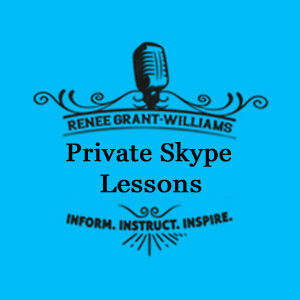 A singing evaluation with Renee will cover more than just the quality of your voice. See the list below for issues she may cover in your evaluation.